Genealogist, copy editor and writer Martin Fischer will give a presentation called “Write It! Tips for Saving and Sharing Family History in Written Form” at 2 p.m. Sunday, Feb. 24, 2019, at the Jewish Genealogical Society of Illinois meeting at Temple Beth-El, 3610 Dundee Road, Northbrook, Ill. The JGSI meeting facilities at Temple Beth-El will open at 12:30 p.m. for those who want to use or borrow genealogy library materials, get help with genealogy websites or ask genealogical questions from genealogy expert volunteers before the main program begins at 2 p.m. For more information, see jgsi.org or phone 312-666-0100. In his presentation, Marty Fischer will discuss the many different forms genealogical writing can take, describe the writing process and explain how to organize a piece of family history writing. He will offer tips on writing problems to avoid and suggest possible topics family historians may want to write about. His presentation will include a brief introduction to the pre-writing techniques of outlining, mind-mapping and stream-of-consciousness rough drafting. He will also explain the value of focusing on a topic by creating a thesis statement and share a few examples from his own family history. Martin Fischer has been doing family history research since the 1970s and created an extensive family history website, martinfischer.webs.com, which he started in 2004. 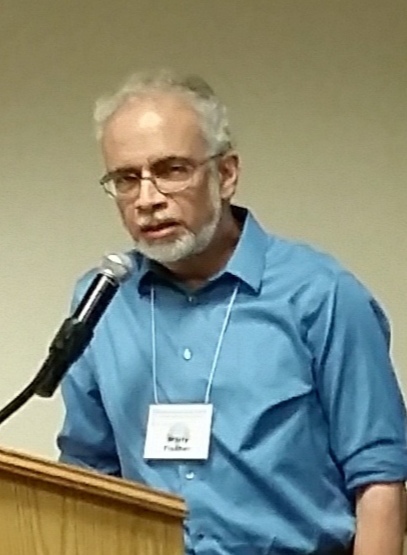 The vice president of publicity for the Jewish Genealogical Society of Illinois, he is also a member of the Association of Professional Genealogists, International Society of Family History Writers and Editors, St. Louis Genealogical Society, American Copy Editors Society and the Editorial Freelancers Association. Fischer has written articles for the St. Louis Genealogical Society Quarterly; Avotaynu: The International Review of Jewish Genealogy; Morasha: The Jewish Genealogical Society of Illinois newsletter; Association of Professional Genealogists Quarterly, Archives.com and Chicago Tribune. He works part-time as a copy editor for the Chicago Tribune’s Production and Design Studio and as an adjunct faculty member of the City Colleges of Chicago. Until a couple years ago he also taught introductory college writing and sociology courses for the University of Phoenix. At each regular JGSI monthly meeting, its “help desk” operates from 12:30 to 1:55 p.m. Member volunteers access online databases and answer genealogical questions one-on-one for members and visitors as time allows. The JGSI library has more than 800 volumes of interest to Jewish family historians. Many are available for borrowing by JGSI members for a limited time. All are available for perusing from 12:30 to 1:55 p.m. at each regular monthly meeting.